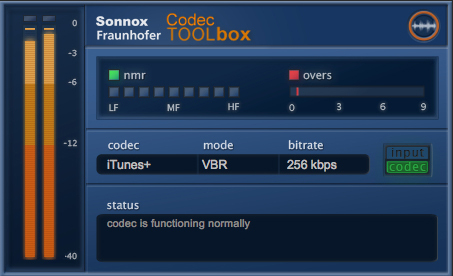 The Sonnox Codec Toolbox does not support Avid’s TDM/HDX hardware DSP platform. This includes Venue, S3L and S6L systems. "...a product that everyone can afford to own, and a great number of people really should own." "Overall, it’s hard not to recommend Codec Toolbox to anyone producing music in the 21st century." "...an audio software tool I didn’t know I needed in my studio until I started using it!"